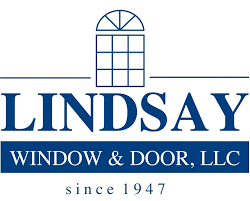 Since 1973 residents throughout Chicago’s Northwest Suburbs have trusted Sunshine Siding & Window Co for all their new and replacement window needs. Need windows replaced? Or install in a new home or commercial building? If so, you need to talk to the experts at Sunshine Siding & Window. Our BBB-accredited company has been serving our area for more than 40 years. Since 1973, we’ve done our homework on the best window manufacturers in the business. So when you choose us, you get an excellent product, backed by our workmanship guarantee. Not all window companies are the same. Pick the wrong business, and you take risks. You risk your valuable time, money, and sometimes even your personal property. But when you join the countless others that have trusted us, you’ll get the peace of mind you deserve. Here’s how that works. Our installers are expert-trained. We’re licensed, bonded, and insured. So every window installation is a stress-free job. And we’ll work closely with you on your window needs. Want to save money on your electric bill? We can help you pick the best windows for that. Want something that matches your own personal style or taste? No problem, we can help. But that’s not all. Learn more about our flexible monthly pricing on a wide variety of services. Join the many who have become happy members of the Sunshine family of customers. For a free estimate, or to learn more about our services, please call 847-895-0078 now. Or just fill out the easy contact form on this page. For Vinyl windows we recommend and proudly install Alliance Window Systems, Vinylmax Windows, Lindsay Window & Door, LLC and ClimateGuard Windows & Doors for your home. These brands have proven the test of time and provide quality. WOOD WINDOW BRANDS INSTALLED BY SUNSHINE SIDING AND WINDOW CO.
We recommend and proudly install Pella and Marvin Windows for your home. These brands have proven the test of time and provide quality. Bay Windows tend to bring in more light, create a sense of spaciousness to a room and offer wide peripheral views to yards. Similar to the Bay Window, Bow Windows are designed to give a room the appearance of being larger as well as bringing in more light to the space. 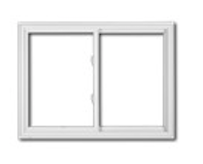 A sliding window is known for opening by sliding the window panes to the side ona track within the window frame. They are great options for a wider window space. 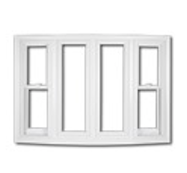 Casement window open with a crank handle. 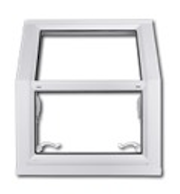 The window sash swings outward from your home. These are great windows when you want a lot of ventilation. 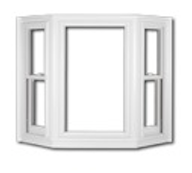 Double hung windows are known for having both sashes operable; meaning they move up and down. 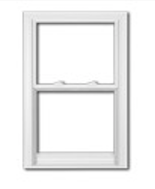 Double Hung windows tilt outwards making them easier to clean than traditional single hung windows. Enjoy the beauty and function of a new garden window for your Northwest Suburban home. Have a Window Project in Mind?